Pesto sauce features some of the most treasured ingredients in Italian cooking: fresh basil, garlic, olive oil, pignoli and Parmesan cheese. This sauce is meant to garnish the simplest of ingredients, allowing the fresh, earthy taste and fragrance of Italy to be savored. You can buy pesto sauce, but why, when fresh is a simple option. I’d be remiss if I did not share a little background on Italy’s famous herbaceous sauce, traditional basil pesto. The Liguria region of Italy claims this divinely aromatic sauce. 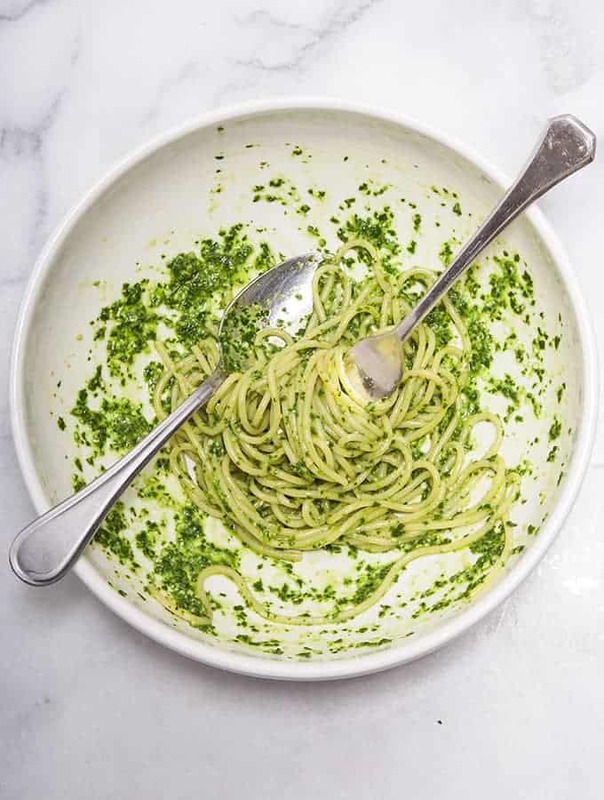 Like many recipes, born out of financial necessity, pesto reflects the regions dependence on vegetables, greens gathered, uncooked quick, meatless and therefore economical. The word pesto comes from the verb pestare, which means to step on, or to pound, traditionally in a deep marble mortar using a wooden pestle. But today, a blender is the common tool of choice, but for many in Liguria, the sound of pestle striking mortar evokes memories of simple home cooking. I was captivated by the city of Genoa during my brief visit, a medieval port city in the northwestern Italian region of Liguria with movie-set ancient narrow streets. Genoa has traditions of pastas and sauces, pesto being one and the other, vegetable pies called torte. 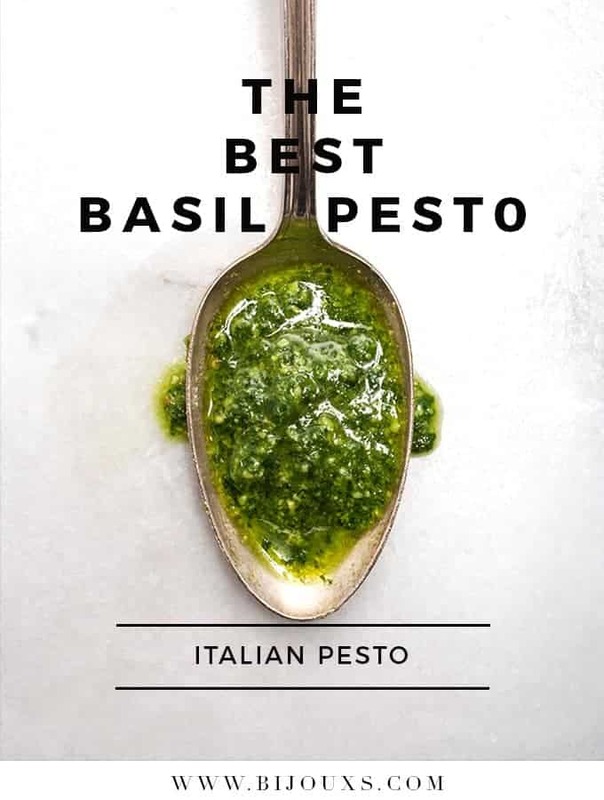 Pesto’s roots most likely cross with the many pesto-like sauces found throughout the Mediterranean and beyond; food travels, and the mortar and pestle is one of the oldest of cooking tools. 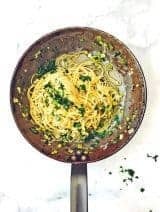 The ancient Romans had pounded sauces of lovage, parsley, mint, and thyme, and many books about pesto say that it’s descended from an old Persian sauce that’s made with walnuts and thyme. The Greeks invented skordalia from ground garlic and nuts, and the Spanish have their romensco based on almonds, garlic, red peppers, and olive oil. 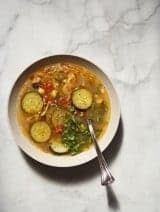 Even within Italy, there are various pestos, including a Sicilian version that incorporates tomatoes, not to mention the classic salsa verde made of garlic mashed with parsley and other herbs. Pesto genovese has only six ingredients: basil, pine nuts, garlic, salt, cheese, and olive oil, simple right? 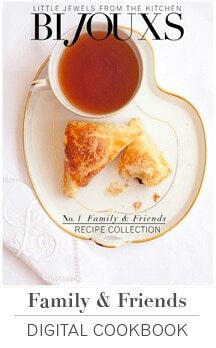 No, there is always a ‘food fight’ when it comes to classic recipes and this sauce is subject to a great debate. How much garlic? How much salt? Which cheese? Should there be visible bits and pieces of basil, or should all of it be pulverized until smooth? Only made in a mortar and pestle or use a blender? In my recipe background gathering, the only thing everyone seems to agree upon is that delicate basilico giovane, or young basil makes the best pesto. Shop for the youngest basil (think small leaves) you can find, better yet, order a pack of Italian basil seeds and find a little patch of ground, a pot or indoor window box and grow your own–the taste is amazing. The smell should be aromatic, not licorice-like. 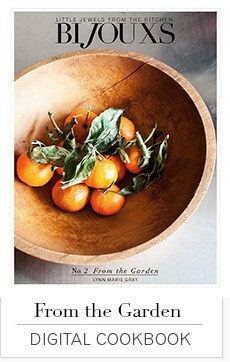 Use plants with four and six leaves, six is ideal, with pale green, teaspoon-size leaves, plucked with their roots. To Americans, who generally grow big bushy basil plants in full sun, raiding the leaves all summer long, this method of pulling up teeny basil plants may seem a bit odd. Basil has been grown in Liguria for nearly a century, ever since greenhouse technology made it possible for cooks to buy tender young herbs year-round. Once, I was led to believe you could blanch basil for 30 seconds to counteract some of the older basil’s bitterness, my Italian cookbooks, say no-no to this fix. Simply remove the leaves from the stems, some books even say not to wash the basil, just wipe lightly with a damp paper towel. As youth is important to basil, it is also important when it comes to garlic—the younger it is, the sweeter and juicier it will be. Using the more costly Italian pignoli (pine nuts) makes sense here, you need so little for the sauce, splurge here. Liguria’s local olive oil, made with tiny taggiasca olives, is made for pesto: a pale gold color and a delicate, slightly saline flavor. A mild, olive oil is preferred vs a fruity ones which can overpower the delicate flavors. For the cheese, I often use a mix of freshly grated cheeses, such as ½ cup Parmesan and about a ¼ cup of Pecorino Romano, to add a little sharpness to the sauce. 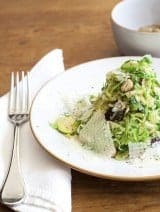 Coarse grained salt should be used to help pulverize the ingredients; rather than kosher salt, use sea salt, which imparts a subtle briny flavor like what you find in authentic pesto genovese. Here I like to keep it simple. In a food processor, or blender add the basil, Parmesan, pine nuts, garlic and salt; process until smooth. Drizzle in the olive to desired consistency. 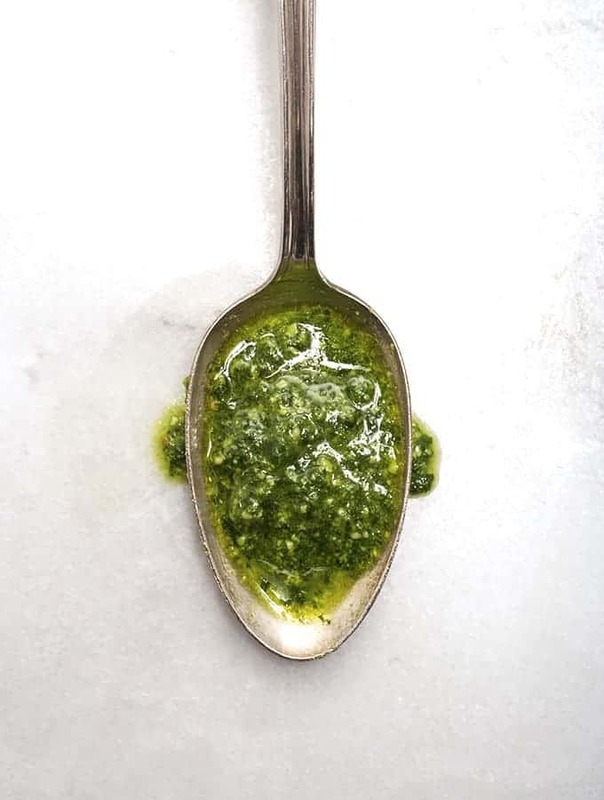 Store fresh extra pesto sauce with a layer of oil, it will keep for a few days in the fridge, or pop the extra sauce into ice cube trays, and freeze, fresh pesto for a rainy day. Of course, tossing pesto with your favorite hot, cooked pasta is simply the best, and so easy. 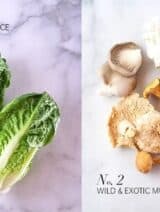 Pin this lovely recipe to Pinterest. Here’s an image to use. Thank you for being a part of Bijouxs! Hi Greg!! Hope you have been well and thank you as always for being a part of Bijouxs!! !